Commonly known as the RSA, the Royal Sun Alliance has one of the most interesting and storied legacies in the insurance industry. Incredibly, the origins of the Royal Sun Alliance don't just date back decades, but actually stretch back several centuries. In fact, the original Sun Insurance company was founded way back in 1706, and even insured the home of legendary British explorer - Captain Cook. With that in mind, who better to guide you through your voyage into home insurance than the Captain's choice? So raise the anchor and prepare to set sail as we set forth into the tempestuous seas of home insurance. In 1959, the stars aligned as Sun Insurance merged with Alliance Assurance to form Sun Alliance Insurance Ltd. The modern Royal Sun Alliance was a result of yet another merger between the Sun Alliance and Royal Insurance in 1996. Today, the RSA Group operates in over 100 countries, with 13,500 employees serving over nine million customers. Much like Walkers crisps operates under different names across the globe (Lay's in the US, Sabritas in Mexico and Smith's in Australia - for those wondering), the RSA Group also takes the form of its many subsidiaries in different countries around the world. For the UK in particular, this happens to be the familiar name of More Than. Under the guise of More Than, RSA offers a variety of home insurance options, including the standard selection of buildings cover, contents cover and the buildings and contents insurance combo. RSA buildings insurance covers up to £1m for the property itself, up to £1m owner's liability, and up £30k for alternative accommodation in the event of uninhabitable repairs. It also includes up to £1,000 locks/keys cover, and up to a further £200 for home emergency assistance. Meanwhile, contents insurance covers up to £100k worth of contents protection, up to £500 money in the home cover, and a myriad of other perks - including cover up to £1m for personal and occupiers' liability, up to £7,500 cover for business equipment, and new-for-old replacement cover. It even includes up to £500 freezer food cover, and up to £2,500 for digital downloads. All figures were correct in March 2018. What optional extras are available with RSA? More Than claims that 10% of customers typically pay just £82 a year for its home insurance, based on a survey of 293 customers that signed up between April and September 2017. A standard policy includes limited accidental damage cover, largely covering damage caused by fire, extreme weather, break-ins and water or oil leaks. However, additional accidental damage widens those parameters to also cover mirrors, glass and other valuable contents - such as vases etc. Meanwhile it also covers electrical equipment like TVs, satellite dishes and audio equipment, as well as computer hardware. If you have a sideboard littered with priceless ceramics or have a home entertainment system that could rival Cineworld, this cover could be for you. Sometimes, the most expensive items we own are carried with us each day – be it an engagement ring, a fancy watch or simply a top-of-the-range mobile phone. Additional personal possession cover will protect you for items on your person worth less than £1,000, no questions asked. Meanwhile, items over £1,000 will also qualify, provided you inform More Than specifically so it can add them to your policy. This add-on covers money and credit cards up to £500, while it also provides protection for bikes worth up to £1,500. Standard policies include home emergency protection of up to £200, covering electrical issues as well as roof, plumbing and drainage repairs. However, additional home emergency cover will see you protected up to £1,000 and includes all of the standard cover, plus any issues relating to heating. This includes £500 towards the cost of a new boiler, if necessary. Most standard policies feature limited legal cover, including up to £50k legal expenses relating to disputes on personal injury, consumer protection, residential matters, employment concern and tax issues. However, additional cover also gives you access to an online legal service. This online portal lets you prepare up to 150 legal documents using professional templates, and allows you to create anything from a will to a letter challenging a parking fine. The legal team is also available to contact directly 24/7, 365 days a year, should you need any advice. From a customer service standpoint, Royal Sun Alliance home insurance reviews are predominantly positive. RSA's More Than was given an overall customer experience rating of 58% in 2017 by independent financial research company, Fairer Finance. This also included an impressive 75% rating for complaints performance. More Than has also been awarded a five star rating from independent financial experts, Moneyfacts, for both its primary cover and upgraded cover. Both options are also backed up with a Defaqto rating of 3 and 4 stars respectively, which are also replicated by Fairer Finance's ratings. Further illustrating the Royal Sun Alliance's level of customer service in the British Isles, the Irish contingent of RSA - 123.ie - also professes that 95% of its customers would recommend 123.ie to a friend (based on a survey of 2,231 customers in January 2017). That same survey returned a stat of 92% customer approval, with those policyholders rating 123.ie's service as "friendly and professional". However, the fact that More Than is an offshoot of Royal Sun Alliance can cause confusion at times when it comes to the paperwork. For instance, even if you've dealt solely with More Than, the policy documents can refer to RSA. If you do find yourself confused by the dual personalities, it may be worth combing through the Royal Sun Alliance home insurance policy wording to eliminate any doubt. If you're not happy with the initial price of your Royal Sun Alliance home insurance quote, don't be afraid to shop around. Comparing your quote with other insurers could see you make a dramatic saving in a comparatively short time. 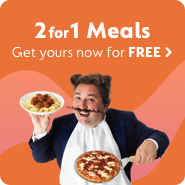 The GoCompare comparison service can do just that, so be sure to check that out before you commit to anything. Secondly, be wary of unnecessary add-ons. Optional extras are labelled as 'optional' for a reason. If you don't own a bike, you probably won't need additional bicycle insurance cover. Eliminating unneeded add-ons can see a notable drop in the price of premiums. Similarly, you may already be covered for certain aspects within another financial service. Banks often include such perks as gadget cover within their policies and cover for items like phones, tablets and laptops usually fall into this protection bubble. Avoid paying twice for the same cover by double-checking your existing packages beforehand.